Minarik regenerative drives increase their versatility and application capability when incorporating low-cost adder boards. Users can mount this isolation board to the drive, which follows any external voltage or current singal similar to the PCM4. The added option increases the height dimension by 1.5", while all other parameters remain unchanged. 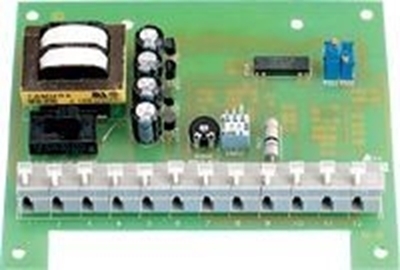 In addition, the board has a adirection input feature which can interpret a 0 to 10 VDC signal as a 0 to -10 VDC signal for bipolar operation from a unipolar signal input.